Starting a fully integrated advertising industry from scratch seems daunting but not for Ankit Nalotia, Founder, CEO, Mo Mantra. A young and vibrant entrepreneur, Nalotia is the mastermind behind the fully integrated advertising agency known as Mo Mantra. The advertising agency under the vision of Nalotia has developed marketing strategies and foresight for prominent clients. Mo Mantra within a short span of time has managed to work with clients from diverse sectors and industries like Kabra Group, Aryan Housing, Dell, Vijay Group, Candour London, Raheja Universal, to name a few. Nalotia is an entrepreneur that feels that by collaborating and combining talents one can accomplish great things. 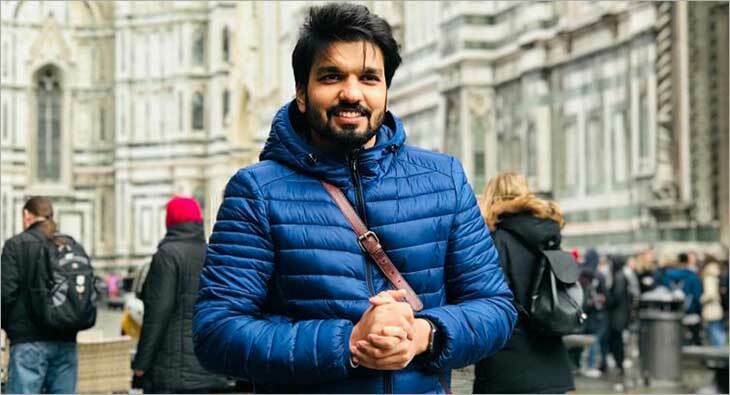 Skilled with the knowledge of both, advertising and marketing field he has worked with industry titans like Raheja Universal (P) Ltd and Indiabulls. exchange4media had a tête-à-tête with Nalotia, the genius behind the advertising agency to understand how he created and developed Mo Mantra from its inception. How did you break into the advertising industry? What was the first ad you worked on? I had always been interested in reviewing brands since the early days. From a brand I am using to an ad which is going viral, I would have an opinion on all. Hailing from a small town didn’t stop me from practising this. Even though I was into sales, I would give my opinion on Ads, Videos and anything related to marketing. This made me consider moving to the advertising industry. Our first Ad was more like a challenge we got from a Real Estate Developer. They asked us to work on a full-page print ad which was to go to print the same day. With the successful completion of the project, Mo Mantra got its first client. Have you inculcated some values from your previous organisations into Mo Mantra? We all have some or other craze within us. Well, I also have one, of adapting and grasping something from everything. Sales gave me confidence, client servicing taught me to balance work and time, handling a team gave me an idea of dealing with people with different mindsets and I have inculcated some of these values into Mo Mantra. Mo Mantra was born sensing the increasing need for strategic, targeted and effective communication services. We cater to the entire length and breadth of creative and digital media communication services, delivering measurable and actionable results. When a campaign is successful it conveys the desired message throughout the target audience but when it doesn’t there is always a loop which is unclosed. During the starting years of my career, I realized that agencies aren’t being good listeners and there is a gap that needs to be bridged. Along with the art of ‘Moh Maaya’, there was a need to become an extending marketing arm for clients. This brought to life, Mo Mantra in 2014. How does Mo Mantra integrate their ad campaigns? Understanding your client’s requirement, seeing the product from their level of perception and having strong market research is the key attributes for effective planning for ad campaigns at Mo Mantra. Brain-storming sessions with a sip of coffee, music, and jokes make us work more diligently. I always prefer ideas to come out promptly rather than making people sit in a room and ideate. Creative work and good content always find its place in people’s mind. We were hardly a couple of months old when one of our social media posts on Teacher’s day caught the eye of pages such as ‘Logical Indian’ and ‘Afaqs’, which resulted in lots of organic followers on our pages. Where does Mo Mantra stand digitally? It’s just a year and a half that we started digital as a vertical and have got successful campaigns executed. From the time we started, we have added digital services for 70% of our clients. We are currently doing SMO, SEM, ORM, Review Management etc. for clients across the sector. Paradigm Realty, Raheja Universal, Neem Holidays, HTL Aircon, Candour London, Dare Jeans are the brands to name a few which are serviced digitally. We have been pitching for many brands across the spectrum. Be it FMCG, Pharma, real estate, automobile, garments etc. Honestly, I feel we would be focusing on digital marketing, programmatic advertising and shall be concentrating on personalizing the content for the clients. The main reason behind this is people nowadays believe in real-time results within stipulated timelines and these are mediums which allow you to experiment, strategise and shows the end results. Content generation is something which has no boundary for improvement as it changes as per the market scenario.